Welcome To The Meekins Antique Music Box Repair & Restoration Company. 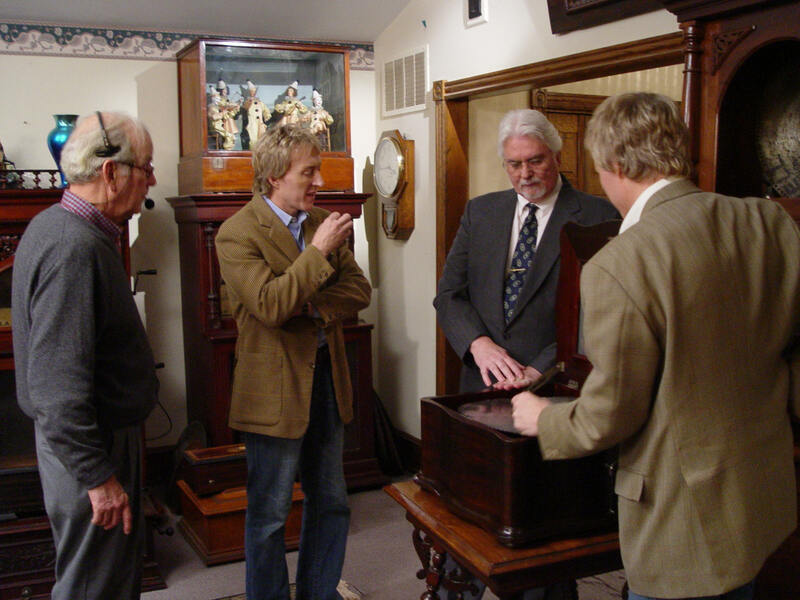 We are recognized as the leading restorers of antique music boxes. We have a complete Machine Shop and professional woodworking shop for the proper Repair, Restoration and Finishing of any antique music box. 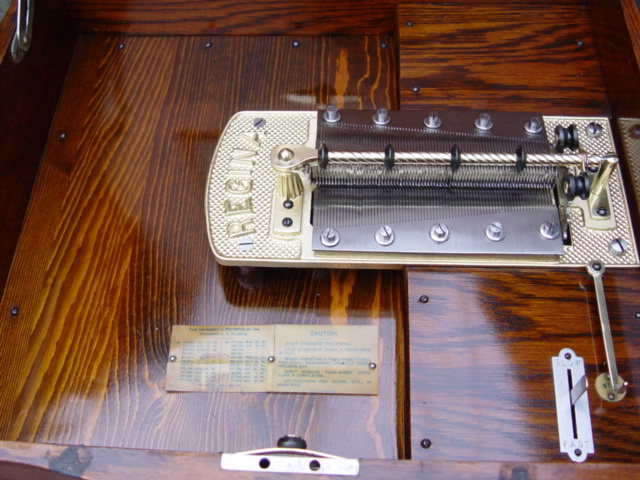 We at the Meekins Music Box Company are a team of very experienced master music box technicians, we have repaired and restored antique music boxes since 1968. We restore disc and cylinder music boxes for the first-time buyer to the most discriminating collector. We have a complete professional woodworking shop for the proper restoration and finishing of antique music box cabinets. 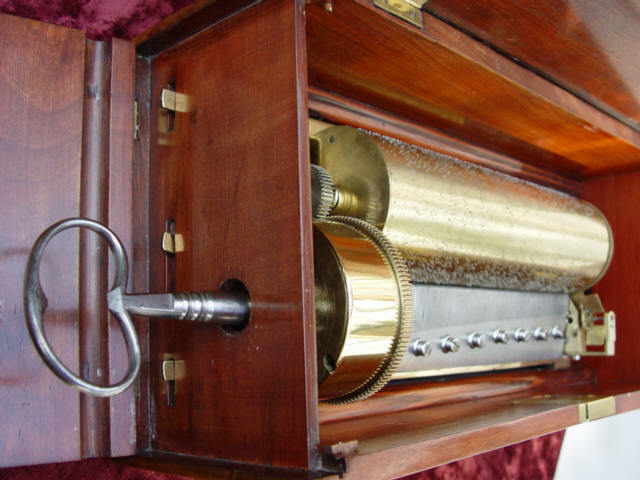 We rebuild antique music box governors and make any antique music box gears. We have any antique music box part in stock. Our steadfast tradition of fine craftsmanship is of the greatest importance to us. Every antique music box that passes through our workshop receives equal attention and achieves its greatest potential in both sound and appearance. E-mail Al Meekins ameek37754@aol.com Call Al Meekins 856-858-6421.
fame demonstrating a Regina music box at the Meekins Music Box Co.
.Copyright © 2018 The Meekins Antique Music Box Company.